Inosloban-Maraoay National High School (INHS) in Lipa City, Batangas was the beneficiary of the Department of Information and Communications Technology’s (DICT) flagship project Pipol Konek. Pipol Konek provides free Public Wi-Fi service. INHS was the site of the launch of the 21st Century Learning Environment Model (CLEM) for Lipa City Learners and educators. This development was due to the efforts of Batangas 6th District Representative Vilma Santos-Recto according to t DICT Acting Secretary Eliseo M. Rio Jr. Rep. Vilma Santos-Recto brought together government and NGOs with the aim of bringing Industrial Revolution 4.0 technologies to students and teachers in Lipa City. These CLEM Classrooms are designed for a more enhanced interaction and collaboration between teachers and the students by the use of laptops and a video projector that replaces textbooks and blackboards and chalk. This will enable more efficient and flexible learning methodologies to be utilized. CLEM Classrooms are modern classrooms designed for enhanced collaboration of learners and educators. With laptops in exchange for traditional notebooks and an interactive projector for the conventional chalk and blackboard, the new learning experience will allow more efficient and flexible learning methodologies. According to Secretary Leonor Magtolis-Briones of the Department of Education (DepEd), that the law demands that senior high school students be equipped for the 21st century, thus what Lipa City launched was a direct answer to this mandate. As a 21st Century classroom, it is important that internet be available to its students, thus Pipol Konek is an integral part of the program. According to Sec. 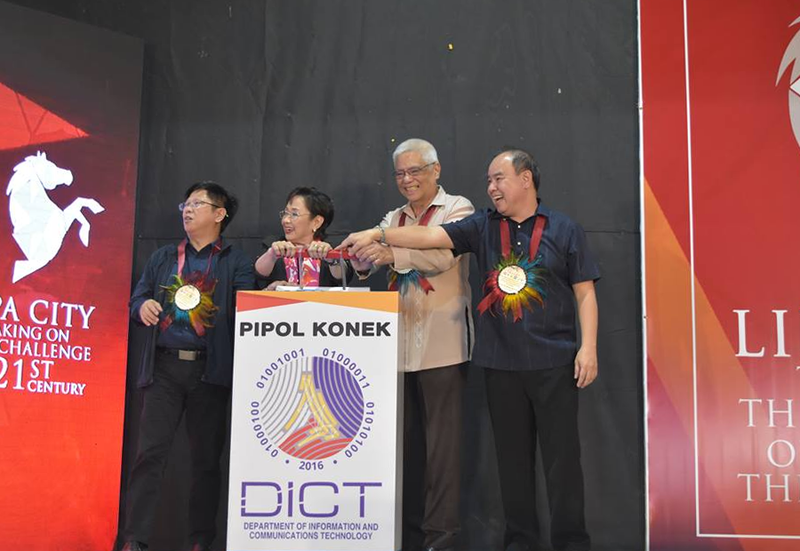 Rio, DICT is continuing to seek partnerships to expand its implementation in other areas nationwide. Pipol Konek provides Lipa and other municipalities with fast and cheap internet connectivity for schools.